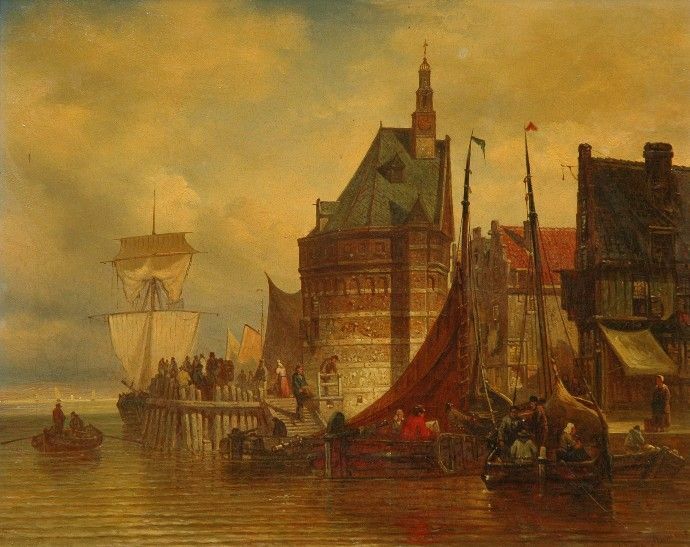 van Bommel painted Dutch city life principally. Architecture figured prominently in his work, but not in isolation: it usually served as a frame and reference point for the human activities that went on around it. His work is about evenly split between naming a specific scene and rendering it as he saw it, and idealizing an unnamed setting, or transplanting a certain structure into an alternate setting. One regular feature is slightly overcast skies: not too sunny, not too dramatic.